How do we get these results? We use high performance truck-mounted steam cleaning. Water temperature is over 200 degrees which helps kill bacteria along with allergens and dust mites. 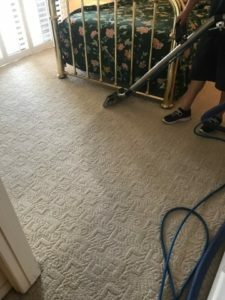 We pre-spray carpets and begin deodorizing/enzyme treatment. 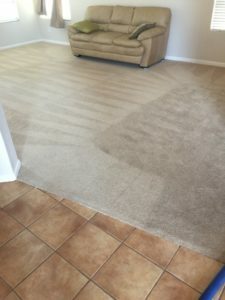 We pre-vacuum carpets to help remove dry soil/dirt. Our soft water system in our van helps carpets stay soft when finished. 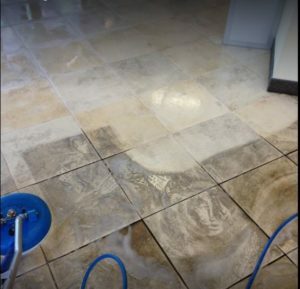 Our cleaning process restores the tile and grout to an almost new condition. 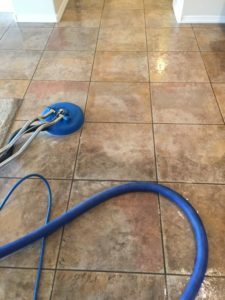 Our results are based on scrubbing EACH tile and ALL grout. Then we use our tile equipment at over 200 degrees of heat to steam and remove all soil/dirt. 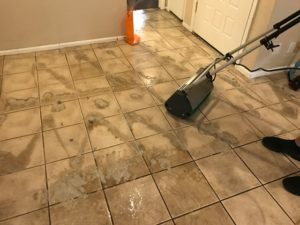 The last step is mopping with microfiber mop to finish floors. 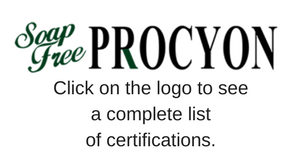 We use the same excellent PROCYON product for your furniture. This process helps sanitize your furniture by removing pet odors, allergens and dust mites. 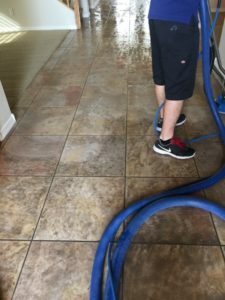 We use 200 degree steam in addition to products that break down oil and grease which allows us to clean your original concrete or floors where you’ve used an epoxy sealer/finish. Our products are safe for wool. 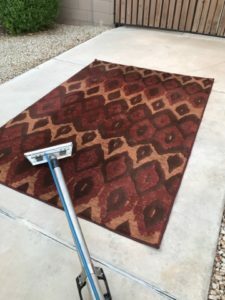 We clean your rug in your home so the difficulty of transporting the rug to and from a cleaning shop is eliminated. for both Residential and Commercial needs.